Privacy, space, and functionality distinguish this wonderful home bounding the northern tip of the Great Sand Dunes National Park. 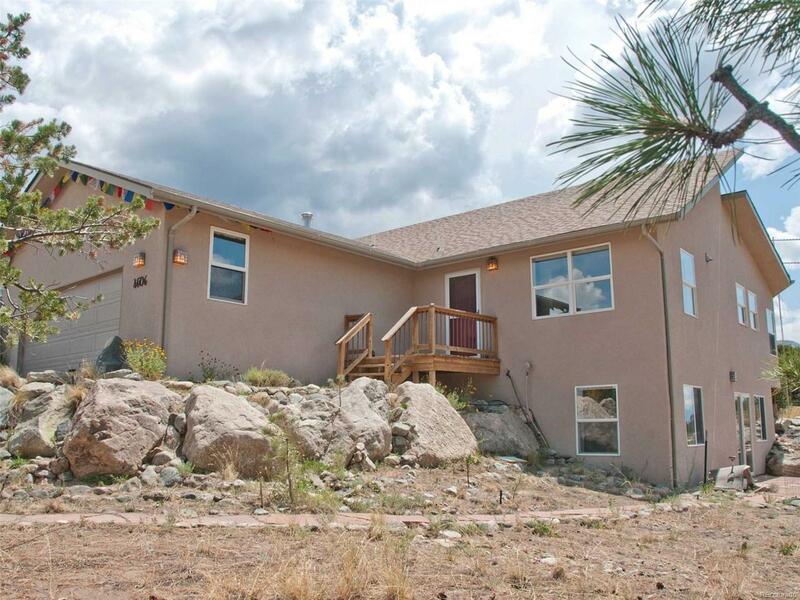 Unobstructed views of the Sangre de Cristo, the San Luis Valley, the Great Sand Dunes and Blanca Peak. Four bedroom/two bath floor plan affords privacy both upstairs and downstairs, with options for dual living spaces. Upstairs the living room features vaulted ceiling & clerestory windows, two bedrooms & bath, an office with beautiful views, pleasant spacious kitchen with eating nook, and laundry hookups. Downstairs, in addition to 2 beds and bath, the garden level basement includes a large family room with natural light from south-facing sliding glass doors that open to a private patio. A spacious bonus room includes second laundry hookups and wiring for a second kitchen. Top this all off with an oversize 2-car garage and quality construction! Great possibilities in this successful AirBnB market. The closest house is five lots away.